It’s not that hard to start in iPhoneography, even if you’re a newbie to mobile photography. Even if you’ve just heard someone mention it, nodded along and wished you’d know more about it. No matter if you’ve just got that shiny iPhone or you’ve owned anything Apple has ever made, there’s no better time to start than now. This blog will provide you with everything iPhoneography, and by the end of this blog post, you’ll have a full understanding, excellent directions, and some tricks up your sleeves to become a full-fledged iPhoneographer. 1 What exactly is iPhoneography? How big is iPhoneography and why should you join? It’s pretty simple. The iPhone came equipped with a pretty impressive camera that allows people to take pictures at a moment’s notice and share them all around the world. Then they invented apps that make editing and applying filters a piece of cake. The result was so artistic and unusual it became a form of art itself – the art of iPhoneography. Don’t believe us? Check out these mind-blowing, breath-taking, made exclusively by iPhone photos. This phenomenon impresses professional photographers and journalists. You can see an entire fashion photoshoot shot by iPhone 3GS here or war photos that were featured on The Daily Show here. And they call themselves iPhoneographers. So, in a brilliant stroke of genius, Australian blogger Glyn Evans coined the word “iPhoneography” with his blog iPhoneography.com back in November 2008. Need more proof? Have you ever heard of Instagram? Facebook bought the app for $1 billion. Yep, you read that right, a billion dollars. The Android version released in April reached more than a million downloads in the first 12 hours. Awesome, right? Now that the scope impresses you, here are the steps to start in iPhoneography. Instagram is the most popular one, but you don’t have to limit yourself. There are a few lists of recommendations from veteran iPhoneographers like this one (a short list) or this one (a long one with detailed reviews). For example, it’s usually pretty simple to figure out how those apps work, but if you’re having trouble, here are some tutorials. These are some of the biggest and most popular online galleries that feature photos from all around the world. Moreover, you can post your creations, as well as view and comment on other iPhoneographers’ works, or get some inspiration. Also, online courses are also available. You can check them if you want to take a more academic approach to getting started in iPhoneography. Here are some suggestions for iPhoneography 101. 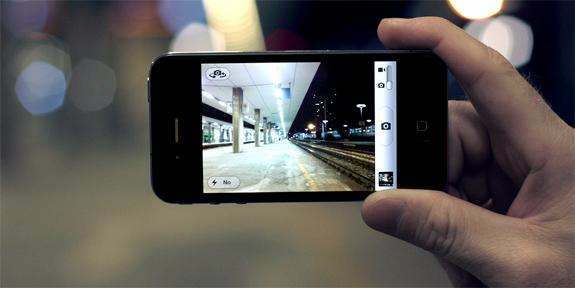 And believe it or not, colleges are starting to offer classes to teach iPhoneography. As an example, a course taught by a veteran photographer Richard Gray consists of weekly three-hour class sessions. There were homework and exams too – clearly, they meant business. Read the whole story here. Now you have everything you need to know about getting started in iPhoneography. But before you take your iPhone out there for a photo-taking trip, subscribe to our blog for weekly news, tips & tricks and leave your comments below to let us know what you want to read about next.